"Have You Had Your Lecithin Today?" 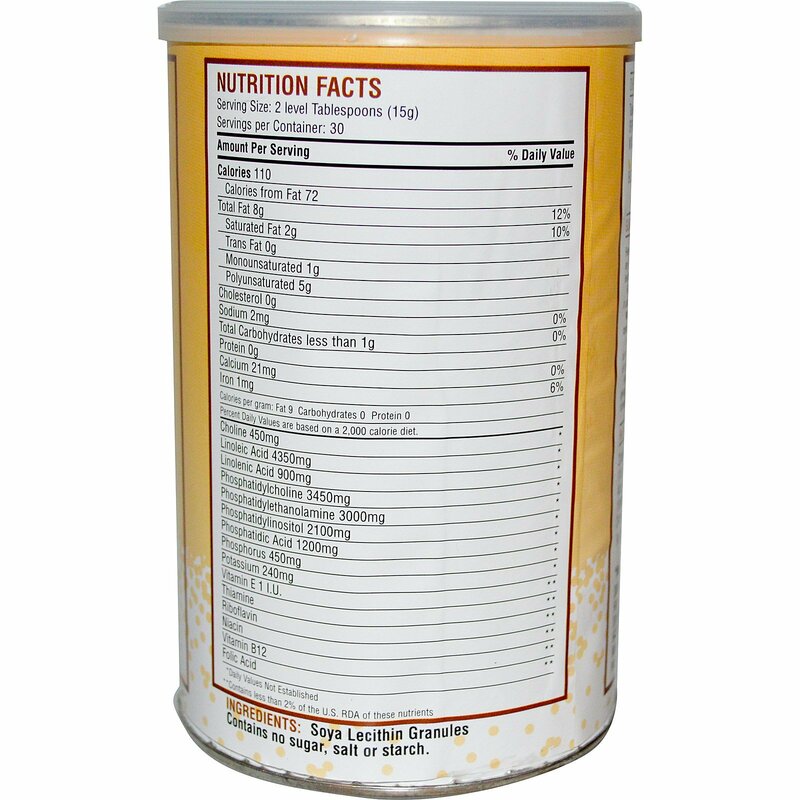 Fearn Lecithin Granules contain 97% phosphatides, the highest concentration of any lecithin product available. Freshness is guaranteed by Fearn Natural Foods, leaders in lecithin and soy products for over 70 years. 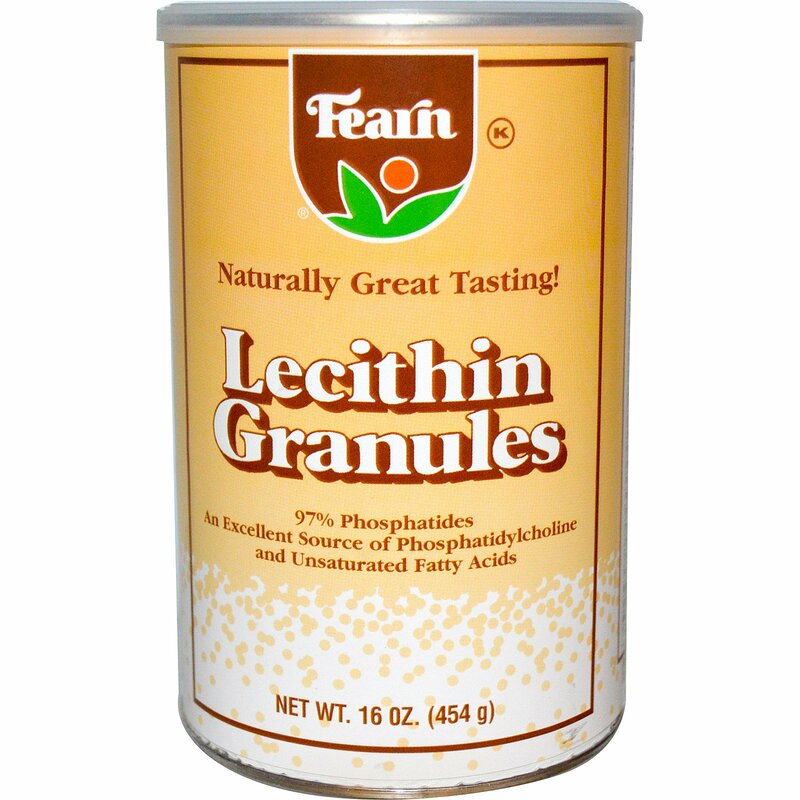 Fearn Lecithin Granules are pure lecithin. The high quality of this lecithin makes it unnecessary for Fearn to enhance the flavor or aroma with added ingredients. Nature put a small amount of lecithin into many foods. But with today's processing and refining methods of the foods we eat, much of the lecithin is removed. Lecithin is an important part of our diet. It helps our bodies emulsify fat and allows our bodies to digest it more easily. It also helps our bodies assimilate many of the other required nutrients in our diet. Fearn Lecithin Granules are high in phosphatidylcholine and phosphatidylinositol, giving us the whole complex of phosphatides. They are also an excellent source of essential fatty acids, including linoleic acid. Take one or two tablespoons daily. Sprinkle Over: Cereals, yogurt, cottage cheese, ice cream, etc. Mix Into: Soups, salad dressings, sauces, gravies, breads and baked goods. Blend With: Fruit or vegetable juices, using a blender for one to two minutes. Contains no sugar, salt or starch.